Experts say the increasing popularity of the direct-selling industry could be part of the overall rise of the gig economy in the social media age. And it’s appealing to women because the flexibility of the job offers moms a way to earn money while also taking care of responsibilities at home. Looking to relieve her miniature dachshund Parky’s arthritis, mother of two Teressa Sworsky discovered hemp oil. After researching the exploding industry of products infused with cannabidiol, or CBD, Sworsky, 36, a registered nurse from Plainfield, Illinois, who works full time in the corporate office of a hospital system, soon learned about other uses for the substance, which is most often derived from hemp, a plant in the cannabis family, but without the mind-altering properties of THC. After giving the CBD oil to her dog, she decided to try it for herself as an alternative to her side effect-ridden anxiety medication. CBD oil, whether in lotions, balms or inside of a dropper bottle like the kind Sworsky uses for herself and her pet, is the latest in a string of products that women, many of them mothers, are selling and recruiting others to sell — a modernized version of a decades-old trend (that can sometimes damage friendships). Whether Tupperware, makeup, jewelry or patterned leggings, selling products directly to customers, often friends and neighbors through at-home parties and social media, has become increasingly popular in recent years. According to the Washington-based Direct Sellers Association’s most recent data, 18.6 million people were involved in the direct selling of $34.9 billion in products in 2017, whether they did so part time, full time, or signed up with companies to receive a discount on their favorite products. Across the U.S., 73.5 percent of direct sellers were women, said Joseph Mariano, the association’s president and chief executive officer. “It’s the idea that I can start working when I want to work and stop working when I want to,” said Julie Hennessy, marketing professor at Northwestern University’s Kellogg School of Management. 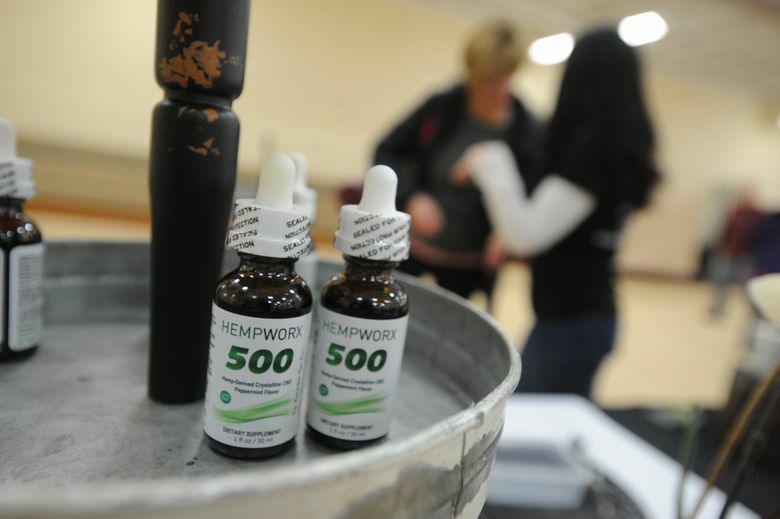 To achieve success, many sellers of CBD oil products, like Sworsky, rely on multilevel marketing, where they recruit others to sell beneath them and collect a percentage of their sales. While there are stories of people who grow this kind of side job into a successful business that supports their families, or even become wealthy, experts say there are many more who only make a few extra dollars or lose money if they’re required to purchase inventory upfront. Washington state Attorney General Bob Ferguson sued LuLaRoe clothing last week, accusing the company of being a pyramid scheme in which thousands of Washington residents have lost money selling clothes. Sellers often are driven to the industry after discovering a product they love. It makes the work enjoyable, and it’s part of the reason direct selling has grown into a multibillion-dollar business, Mariano said. That growth prompted the association to partner this month with the Better Business Bureau to establish a council that will regulate direct-selling businesses to ensure best practices, including making sure claims of compensation are realistic, Mariano said. It’s unclear how much of the direct-selling market comes from CBD products, but Steven Thompson, founder of Texas-based Zilis, which produces products with CBD, said the hemp industry is exploding. His company has grown more than 500 percent in the last two years, he said, and that includes about 30,000 “brand ambassadors,” or sellers — 70 percent of whom are women. Patty Kiedro, a 30-year-old mother of four, said she was wary at first but decided to try drops of CBD oil for her 6-year-old son, who struggled with behavior and attention issues at school. Kiedro, of Plainfield, learned of the product through Sworsky, whom she met at their daughters’ dance class. “I gave it a shot,” Kiedro said, adding that it has worked wonders for her son, whose teacher has noticed improvement. She then decided to sell CBD oil as a way to introduce it to others who might need it. Last month, President Donald Trump signed a large farm bill that designated hemp as a legal agricultural crop. But the FDA maintains that CBD is a drug ingredient and therefore illegal to add to food or health products without approval from the agency. Industry members are waiting for direction from the FDA as to how to comply. While the FDA last year approved the first CBD-derived prescription drug for epilepsy, the agency hasn’t approved drugs for any other uses. It remains illegal to claim CBD can ease any other symptoms, according to the FDA, and those who sell CBD products are careful to say their experience may not be replicated in everyone. “There is very little we know for sure” about the effectiveness of CBD, said Dr. Melinda Ring, director of the Osher Center for Integrative Medicine at Northwestern University, who studies CBD. The research on CBD and its effect on a variety of ailments comes mostly from small clinical studies, or ones that don’t include human subjects, Ring said. As scientists continue to the look into CBD, Ring cautions people to pay attention to labels on CBD products and dosing, and to be wary of certain drug interactions, especially for those taking blood thinners or seizure medications. 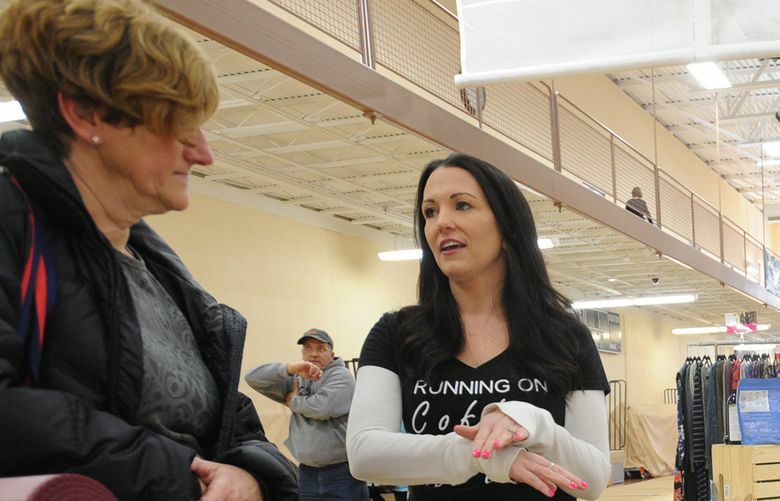 For now, Sworsky manages her hemp oil business by setting aside time in the evenings — in the midst of dinner, baths and bedtime — to log on to her Facebook page. That’s where most of her customers go to purchase $69 bottles of CBD oil. She posts videos to educate her customers on the uses of the oil, from her pet’s arthritis to her own anxiety. She also visits vendor fairs and flea markets to set up a table of Hempworx, the brand of oil Sworsky sells. And she asks her friends — real and virtual — if they want to sell it, too, as a part of her team. Since she signed up in October, Sworsky has made $1,000, She’s recruited three women, including Kiedro, to start selling. One of them has recruited yet another.